Super Savings Item! 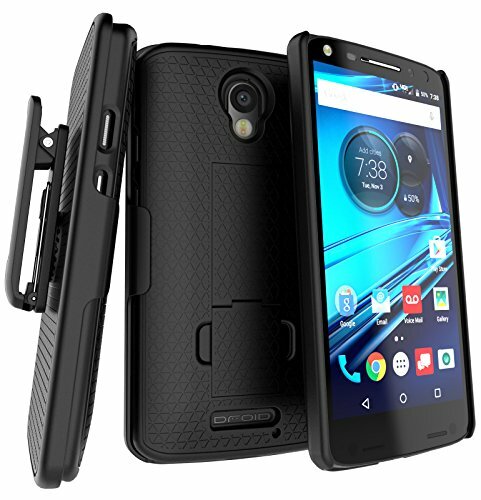 Save 31% on the Encased Droid Turbo 2 Belt Clip Holster Case, Encased [DuraClip] Slim Cover w/ClikLock Holster for Motorola Droid Turbo 2 (Verizon XT1585) by Encased at Got Busted Mobile. MPN: 4326525927. Hurry! Limited time offer. Offer valid only while supplies last. The Encased ArmorLite Series is designed with practicality and durability in mind. SoftTouch textured case adds protection and makes gripping your phone comfortable and easy. Swivel holster includes a sturdy mechanism to keep your phone in place at all times. Encased Quality backed by an industry leading Lifetime Warranty.